This year’s Iditarod has hit what could prove the defining moment in who wins the race. Joar Ulsom pushed his 24-hour rest all the way to the Iditarod checkpoint, arriving Wednesday evening while his main competitors were posted up in towns further down the trail. But yesterday, the competition caught up. The weather around the Iditarod checkpoint the last few days has been gnarly: blowing snow and high winds. Snowmachiners and checkpoint officials say the trail was getting covered up with snowdrifts around the time Joar Ulsom was pushing toward his 24-hour rest at the spare camp – little more than two shelter cabins and some pop-up tents. Toward the end of the run, his speed slowed way down. Ulsom was asleep for much of the afternoon, so he missed when one of his main challengers came blazing into Iditarod under a clear sky. Nic Petit had just come off a long run, but his dogs had their tails up, leaping at their harnesses, looking like they could keep running all the way to the Yukon. The run from Ophir to Iditarod is 80 miles – one of the longest legs of the race. Mushing through bad weather without a major rest, Ulsom did the junket in 15-and-a-half hours. Petit did the same run in just over 12 hours. That was about an hour faster than Mitch Seavey, the third musher to reach Iditarod on Thursday afternoon. The weather had cleared up from the windy night before, and slightly lower temperatures had firmed up the trail a bit. The weather system that had impeded Ulsom’s progress didn’t stick around to hamper his two main rivals the same way. Seavey and Petit both rested about four-and-a-half hours before taking off for the Yukon. 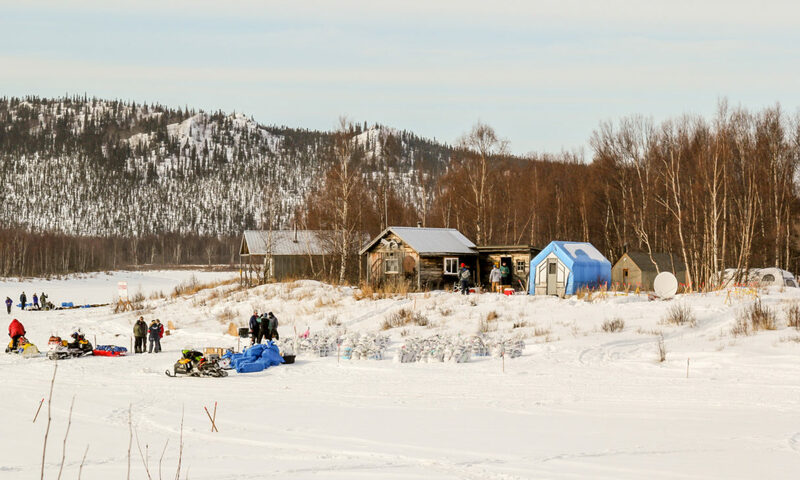 By the time Ulsom’s 24-hour hold was up, he was about two-and-a-half hours later in leaving Iditarod for the tight three-way race down the river and toward the coast. Petit ultimately reached Anvik first. Previous articleProposition 10: Should we sell ML&P to Chugach Electric Association?